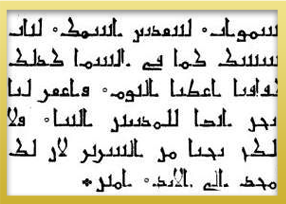 Modern Standard Arabic (MSA) or Fusha is the official language for 22 Arab countries. Today Arabic newspapers, text books, novels, poems are written in MSA which make it widely used around the world. However, MSA is considered a written language more than a spoken one. People in Arab world do not speak MSA in their daily life they speak colloquial depending on the country. 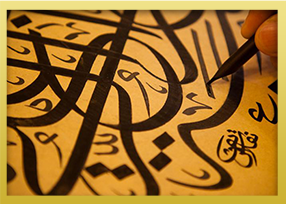 Therefore, we offer our students both Arabic dialect courses and MSA courses. To be able to read and understand formal and religious texts. 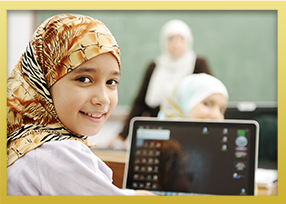 Learning MSA will help student to be able to read, write and understand Arabic language. To achieve this goal, we are using specialized books to teach Arabic which being thought in universities and language centers around the world. Gulf Arabic (also known as Khaliji خليجي) is the main Arabic language spoken in United Arab Emirates, Kuwait, Iraq, Bahrain, Qatar, Oman, Yemen and Saudi Arabia. It’s a spoken colloquial language which is used for daily communication and business. Our native gulf tutors will help you to master the gulf dialect in an easy and efficient manner. Students was able to have basic conversation in a very short time. One to one lessons will give you the confident and the tools to grasp all the aspects of the language. Also, our group courses will help you communicate with other students and practice Arabic more in a friendly atmosphere. Intending to move or live in a Gulf country. Working with people from the Gulf country. Interesting in communicating with your partner or friends in Khaliji. The Egyptian Colloquial Arabic is spoken by more than 80 million people, mostly in Egypt. Also it is commonly understood and spoken in all Arabic countries thanks to Egyptian movies and music. For individuals planning to work, visit, or just interested in Egypt this is the course for you. Not only you will speak Egyptian but you will able to communicate with Arabs in all Arabic countries. Working with people from the Egypt. Interesting in communicating with your partner or friends in Egyptian. Levantine Spoken Arabic is a general term of the spoken dialects along the Eastern Mediterranean Coast of Syria, Lebanon, Jordan, Palestine, and Israel. Around 20 million people speak the Levantine Arabic. Levantine Arabic is similar to other dialects is used for daily communication affairs. Intending to move or live in a Levant region. Working with people from the Syria, Lebanon, Jordan and Palestine. Interesting in communicating with your partner or friends in Arabic. Is the major spoken language in the Maghreb region, including Morocco, Algeria, Tunisia and Libya. It also considered one of the most distant Arabic dialect due to the barber and French influence. A lot of Arabic people from middle east are unable to understand North African dialects unless if they speak in Modern Standard Arabic which is the standard language used in Newspapers, texts and books. We have succeeded in creating our very own materials to help students learn their dialect of choice in the most convenient and efficient way possible. Our tutors in London will be using the communicative approach, where the lessons will, with few exceptions, be conducted in Arabic. Progress is clear from the very first lesson. Time is very flexible and tuition can be conducted in a company, residential or in central London. The course is aimed at complete beginners and is designed to enable learners to communicate in Arabic (MSA or any dialect of choice) within a limited range of everyday situations. Learning Arabic Alphabets, pronunciation sounds, short vowels and Long vowels. Basic greeting, self-introduction, occupation, nationality, family and different relationships, describing things and people, asking and giving directions, capability of conjugating verbs in present tense and past tense. Ability to make sentences and even paragraphs. Learning singular and plurals rules as well as prepositions. Ability to differentiate between masculine and feminine nouns and adjectives. Numbers, days of the week, counting, asking for price or giving a price, telephone number and telling you date of birth in Arabic. Learning past tense (regular and irregular). Ability to describe day to day activities. Learning about food and ordering. Telephone conversation and making or cancelling appointment. Describing things by their colors. Learning about clothes, shopping in a store and negotiating price. Describing events and different types of party or gathering. The objectives of Intermediate Arabic course are to enable the student to build a soiled knowledge of the basic rules of Arabic grammar, to expand vocabulary in terms of complexity, and to increase the acquisition of words for active use in a wide variety of topics and settings. Ability to talk about your work and what’s your daily tasks. Capability to express your opinions about different countries or situations. Continuing learning forms of verbs. Ability to describe your holiday. Booking a flight, hotel and restaurant. Talking about the weather and especially weather changes in the UK. Describing different countries, you been to and comparing them. Translation and role play are very essential during this course. Strengthen your conversational skills and ability to discuss varies topic that interest you. Asking and responding to questions from your tutors. Ability to describe outings and events in a detailed manner. Continuing verbal forms and revising all forms. 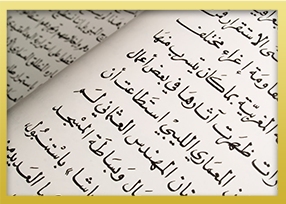 Translating and writing more complicated paragraphs in Arabic or vice versa. The course main objective is to teach student advance knowledge of dialect or classical Arabic and enhance their reading, writing and conversational skills to a sophisticated level. Actual trip to an Arabic restaurant or café with the tutor to practice your conversational Arabic and ability to order and ask questions to the waiter. Talking about different topics such as nature, economic, politics, airlines and shopping. Writing and translating letters in Arabic. Revising Grammar and learning about Arabic connecters. The course aims to reinforce the skill of communicating in Arabic acquired on Intermediate Arabic course. Ability to describe and learn about different Arabic society. Meeting a different tutor to experience a new method and to enhance your conversational skills. Introduction to Arabic media and culture. Reading advance texts and ability to translate and understand it. Obtaining skills in conjugating verbs in all tenses and ability to identify which form is it. Ability to have a long conversation in almost all topics that been covered in all our courses. Be familiar with the difference between formal and spoken Arabic. The timeline of the courses depends mainly on the student capabilities some students needs longer time some needs less. 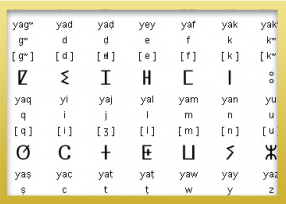 Phonetics courses (using English Alphabets) are available upon request. Our Main focus is to teach the Arabic Language to beginners, Intermediate and advance, through various learning methods, and resources so that they are able to speak the Arabic language quickly and confidently. Learning MSA will help the student to be able to read, write and understand the Arabic language. To achieve this goal, we are using specialized books to teach Arabic which being thought in universities and language centers around the world. Gulf Arabic (also known as Khaliji خليجي) is the main Arabic language spoken in the United Arab Emirates, Kuwait, Iraq, Bahrain, Qatar, Oman, Yemen, and Saudi Arabia. It’s a spoken colloquial language which is used for daily communication and business. Our native gulf tutors will help you to master the gulf dialect in an easy and efficient manner. Students were able to have a basic conversation in a very short time. One to one lessons will give you the confidence and the tools to grasp all the aspects of the language. Also, our group courses will help you communicate with other students and practice Arabic more in a friendly atmosphere. The Egyptian Colloquial Arabic is spoken by more than 80 million people, mostly in Egypt. Also, it is commonly understood and spoken in all Arabic countries thanks to Egyptian movies and music. For individuals planning to work, visit, or just interested in Egypt this is the course for you. Not only you will speak Egyptian but you will able to communicate with Arabs in all Arabic countries. Working with people from Egypt. Levantine Spoken Arabic is a general term of the spoken dialects along the Eastern Mediterranean Coast of Syria, Lebanon, Jordan, Palestine, and Israel. Around 20 million people speak Levantine Arabic. Levantine Arabic is similar to other dialects is used for daily communication affairs. Working with people from Syria, Lebanon, Jordan, and Palestine. Is the major spoken language in the Maghreb region, including Morocco, Algeria, Tunisia, and Libya. It also considered one of the most distant Arabic dialects due to the barber and French influence. A lot of Arabic people from the middle east are unable to understand North African dialects unless if they speak in Modern Standard Arabic which is the standard language used in Newspapers, texts, and books. Learning Arabic Alphabets, pronunciation sounds, short vowels, and Long vowels. Basic greeting, self-introduction, occupation, nationality, family and different relationships, describing things and people, asking and giving directions, the capability of conjugating verbs in present tense and past tense. Numbers, days of the week, counting, asking for a price or giving a price, telephone number and telling your date of birth in Arabic. Ability to describe the day to day activities. Learning about food and order. Telephone conversation and making or canceling an appointment. Booking a flight, hotel, and restaurant. Talking about different topics such as nature, economic, politics, airlines, and shopping. Revising Grammar and learning about Arabic connectors. Reading advance texts and the ability to translate and understand it. The timeline of the courses depends mainly on the student capabilities some students need longer time some needs less.